After our alarm at Pikachu's new middle-aged man voice in Detective Pikachu, we're wary of any more startling Pokémon revelations. 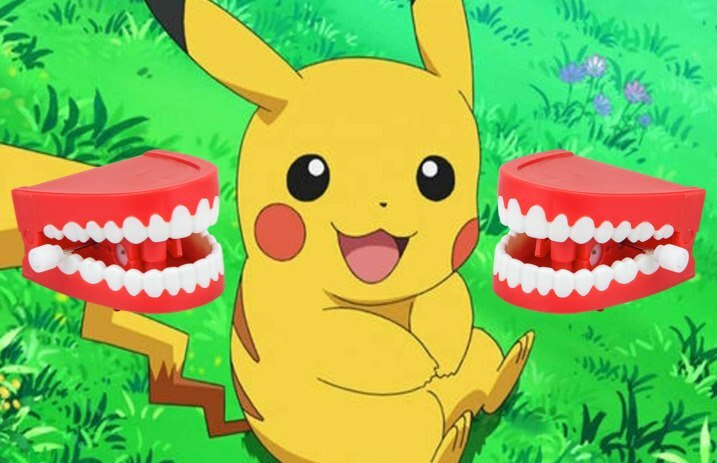 In the face of our reservations, this meme of Pikachu with human teeth could be nightmare fuel. “nope that didn't help,” adds the meme-maker. It helps us be terrified, if that's any consolation. Other Redditors point out that Pikachu already has visible teeth at certain points in Detective Pikachu, of course, because, hey, this is the internet. Now, who's ready to see the movie?